Reprints First appearances of the Punisher and the Jackal in "The Punisher Strikes Twice!" Script by Gerry Conway. Pencils by Ross Andru. Inks by Frank Giacoia and Dave Hunt (backgrounds). Cover by Gil Kane and John Romita. One of the landmark issues of the bronze age! The Punisher, the legendary gun-toting vigilante, makes his first appearance in the Marvel Universe! And his first target...is none other than your friendly neighborhood Spider-Man! But before Frank Castle can locate the web-slinger, he needs directions from a mysterious new super-villain called the Jackal! 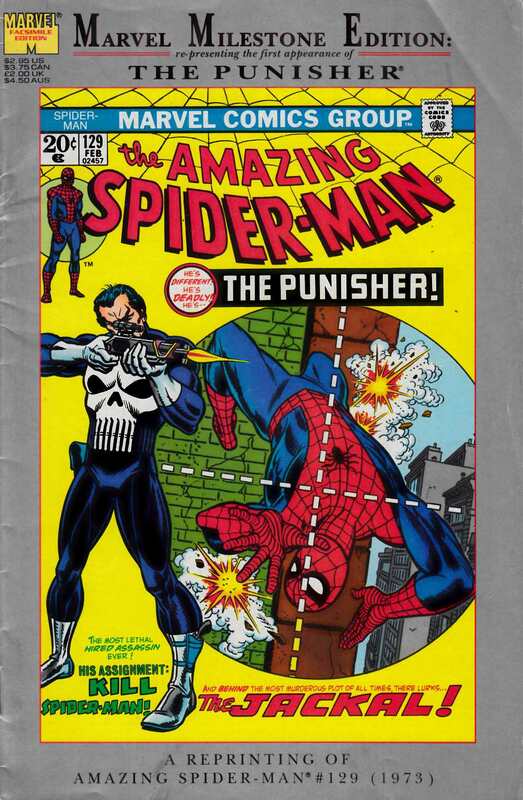 Once the dastardly Jackal tells the sharpshooting anti-hero where to find the wall-crawler, the inaugural battle between the Punisher and the Amazing Spider-Man erupts! The first of many classic confrontations!